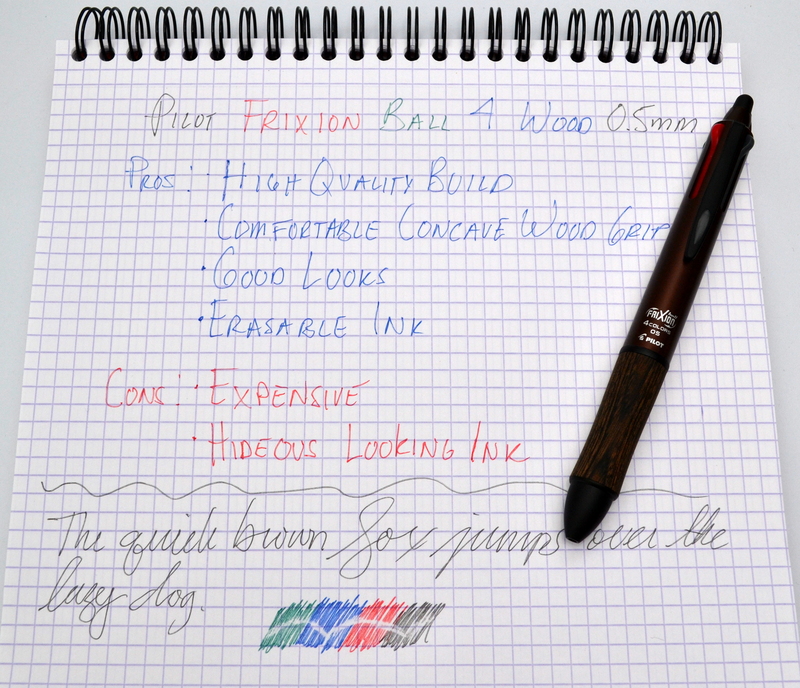 The Pilot Frixion Ball 4 Wood is one of the many pens I picked up on my trip to Japan that I have yet to review. The Frixion Ball 4 Wood is a multi-pen that features four erasable gel ball points, a wood grip and an attractive brown and black body. This is one of the best looking multi-pens I have used and it has a very high quality feel, weighing in at 26.7 grams. 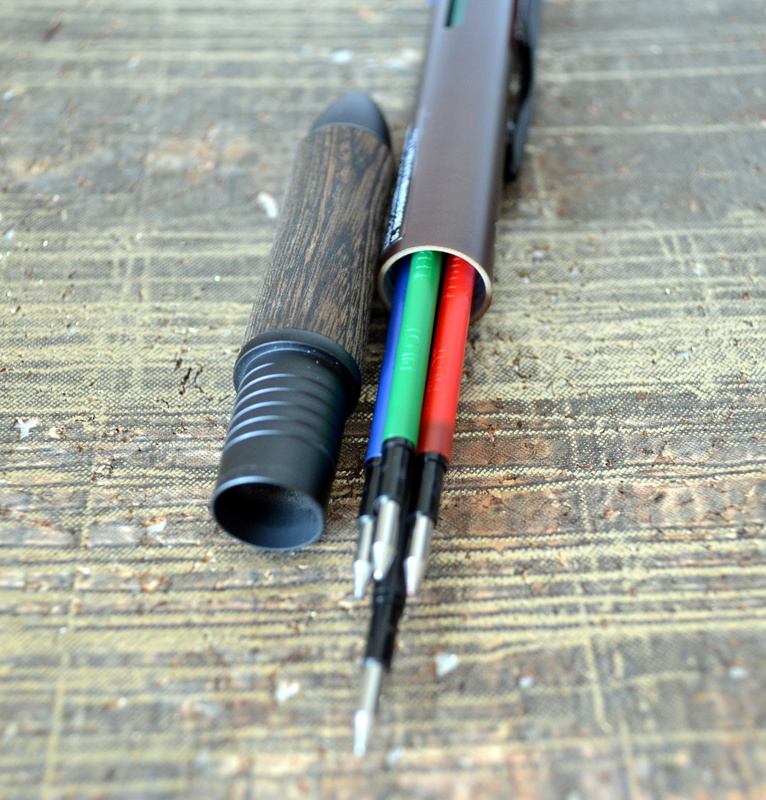 It is a well built pen with a satin brown plastic body that is completely free of seams. The section is made of wood and metal and is what gives the pen its nice weight. It is fair to say I love everything about this pen except for the way it writes. The erasable Frixion ink looks nasty. The colors are washed out and the lines aren’t particularly clean. It is a smooth writer especially for a 0.5mm pen but it’s not a winner for me. 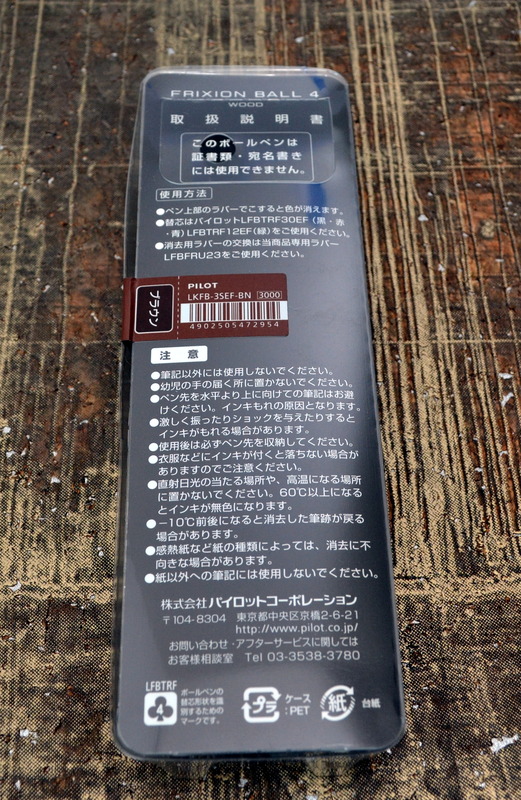 The price is also prohibitive at 3,000 YEN (just under $30USD); that is three time the price of the Uni Pure Malt which while not as nicely made offers a better writing experience with Uni Jetstream ink. I am quite smitten with the body so I am going to try and see what other refills will work in the Frixion Ball 4 Wood. Please be sure to update with you refill experiences. If you can find better refills (especially a pencil) I might just be converted to using a multi pen.